Fern Citadel - Maharaja, Sheshadripuram, Bangalore is a splendid space to host your pre-wedding function, wedding and reception ceremony. It is located at a close distance from Krantivira Sangolli Rayanna Station which makes it easily accessible for all to reach there. The venue serves multi-cuisine delicacies in both vegetarian and non-vegetarian food to their guests. The elegant décor of the venue makes it an ideal option for a grand wedding. It gives you the freedom to get your own decorator from outside to decorate the venue as per your requirements. 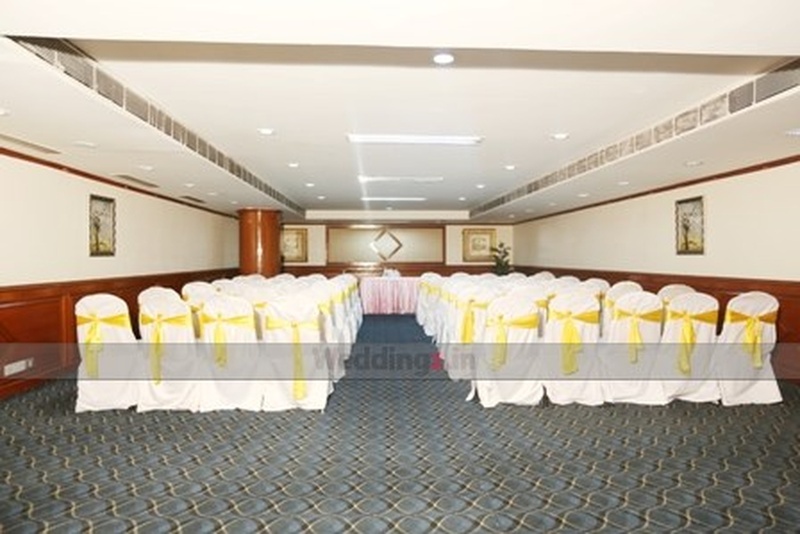 It has banquet halls that are ideal for having small and medium-sized events. Fern Citadel - Maharaja, Sheshadripuram, Bangalore has a great overall architecture with modern facilities and a remarkable customer service. The Fern Citadel - Maharaja located in Sheshadripuram, Bangalore has Wedding Hotels, Cocktail Venues, Banquet Halls and 5 Star Wedding Hotels. Present 3 can accommodate upto 100 guests in seating and 150 guests in floating. Hall can accommodate upto 500 guests in seating and 750 guests in floating. Present 1 can accommodate upto 300 guests in seating and 450 guests in floating. Present 2 can accommodate upto 200 guests in seating and 300 guests in floating. Vegetarian and Non Vegetarian food is served at this venue. Features of this wedding venues are : Food provided by the venue , Non-Veg allowed at the venue , Alcohol allowed at the venue , Outside alcohol allowed at the venue , Halls are air Conditioned , Ample parking , Baarat allowed , Fire crackers allowed , Hawan allowed , Decor provided by the venue , Packages starts at Rs 900 per plate for vegetarian menu and at Rs 1000 for non veg menu.